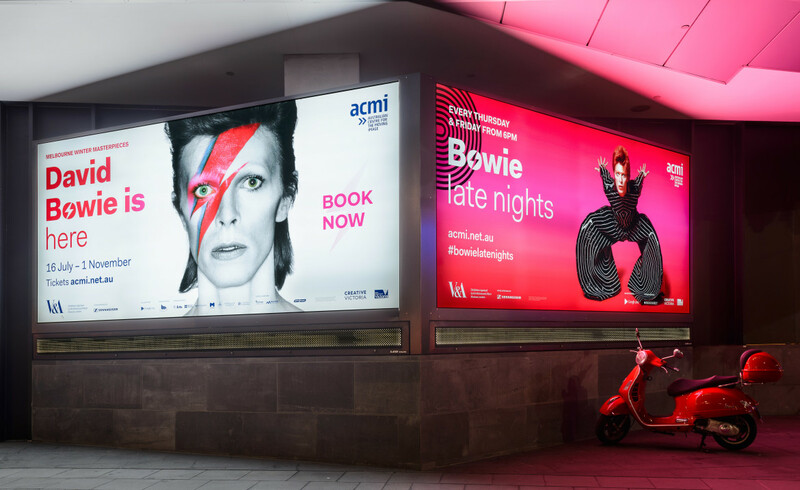 Continuing on with the long standing relationship as a trusted graphic services provider to ACMI, ImageBox have recently completed and installed signage and exhibition graphics for an exciting new exhibition to arrive in Melbourne. 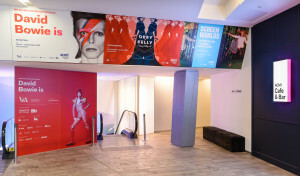 The once-in-a-lifetime exhibition charting the genius and legacy of an iconic artist and innovator, David Bowie is runs from 6 July 2015 to 1 November 2015 at The Australian Centre for the Moving Image as part of Melbourne Winter Masterpieces. 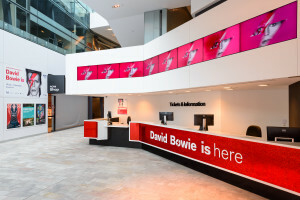 David Bowie is was created by the prestigious Victoria and Albert Museum (V&A) in London drawing upon unprecedented access to the David Bowie Archive of costumes, objects, album artwork, and memorabilia. The exhibition includes lyric sheets, hundreds of photographs, stage sets, rare videos, filmed live shows, over 50 costumes and interviews with key collaborators. ImageBox worked closely with the design team at ACMI to create, produce and install unique signage, exhibition graphics and interpretive labels for the exhibition. Special displays within the exhibition explore Bowie’s influences as musician, stage performer, writer and actor – and his continuing legacy. At its world premiere in London in March 2013, it was the V&A’s fastest selling exhibition and became one of its most popular shows, drawing over 311,000 visitors and widespread critical acclaim. 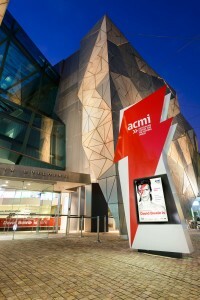 ACMI is the exclusive Australasian venue for David Bowie is. The ACMI season will include a specially curated program of talks and special events, late night programs, film screenings and live performances. Make sure you get to see this fantastic exhibition before it closes in November, and of course check out the stunning graphics and signage! Since it’s opening in 2003, ImageBox has been a graphic service provider to ACMI producing all the interpretive graphics for the permanent exhibition Screen Worlds and many exhibitions up to the current time including Tim Burton, Game On and Hollywood Costume.